Amazon.com may contain duplicate listings for the same UPC/EAN Product ID. AMZ Analyzer will return either a) ALL listings that match your Product ID (which may result in multiple results for one Product ID) or b) a user specified number of matches as set in Settings > Options > Spreadsheet Search. 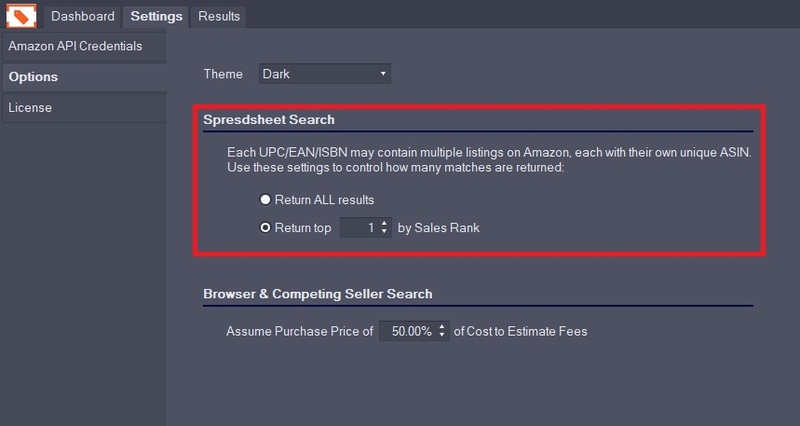 This is extremely useful when analyzing your potential product’s viability for selling on Amazon.com and allows you to consider all possible competition. This is most common when using UPC and EAN as the search Product ID as each UPC/EAN may have multiple ASINs. Queries for Product IDs that do not result in a match (no matching listing on Amazon) will show in results as “Not found on Amazon.com”.